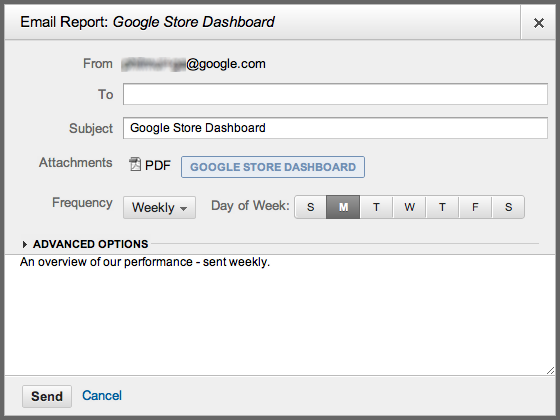 Part of the transition to the new emailing system is an opportunity to “reset” your scheduled emails. Consider which scheduled emails have been most helpful and be sure to recreate those in the new interface. The new Google Analytics has some reporting differences and additional metrics that you may want to take advantage of when drafting new scheduled emails. We will provide ample notice before scheduled emails from the old Google Analytics are sunset later this year.